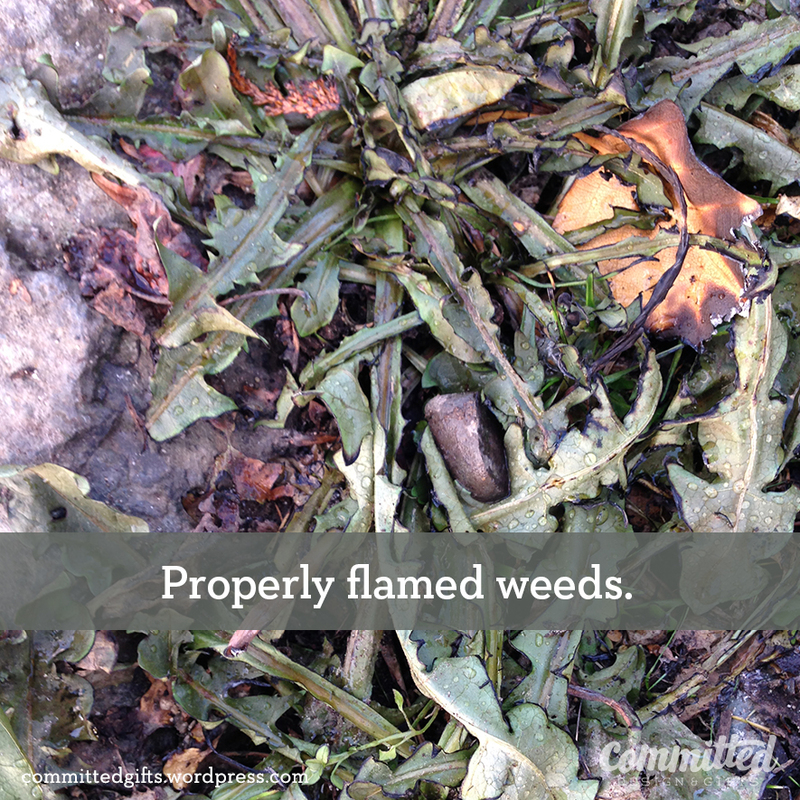 Flame Weeding: Organic Weed Killing for Badasses | Committed. The ongoing saga of our yard is this: it’s big, it’s overgrown, and it’s overwhelming. 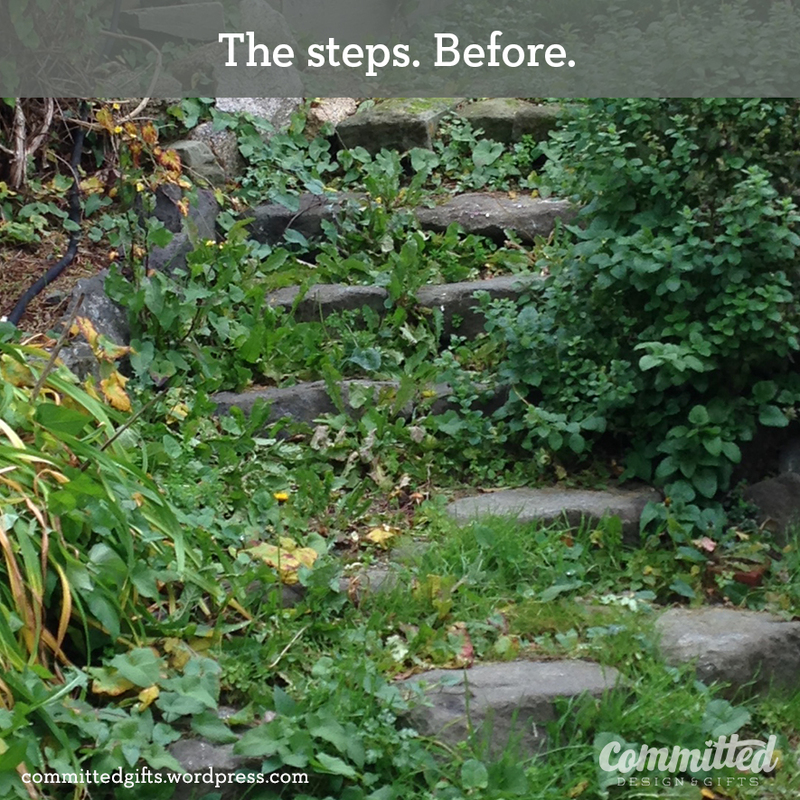 We paid mucho dinero to have the yard weeded and trimmed back, and true to form, six weeks later, that work was completely undone. It’s not that the area is that large, it’s just a lot of varied spaces, a challenge to access, and rife with invasive, aggressive species. Since I didn’t want to pay basically RENT to have someone do this job every month, I turned to the internet for ideas. Watch it bring you to your knees, knees. Luckily, my friends are smart. They referred me to Seattle Tilth. They offer a great service: garden consultations to identify plants, generate a plan, and help figure out organic solutions to turn your garden into something sustainable. To me, “Sustainable” doesn’t just mean organic, it means something that I can actually take care of with reasonable effort. Wait a few days and flame again, burning off the dead plants and leaving a CLEAN area! I’d never heard of this, but I loved the idea immediately. No backbreaking, finger-wrecking weed pulling? It keeps those weeds DEAD? AND THEIR BABIES? There are no chemicals involved? Dude, I was sold. Take safety precautions, and keep flame away from buildings. Flame weeding isn’t burning, it’s wilting. Your efforts pay off within an hour! You can see that things start to wilt right away! So much better than trying to dig out all that grass and crap, right? 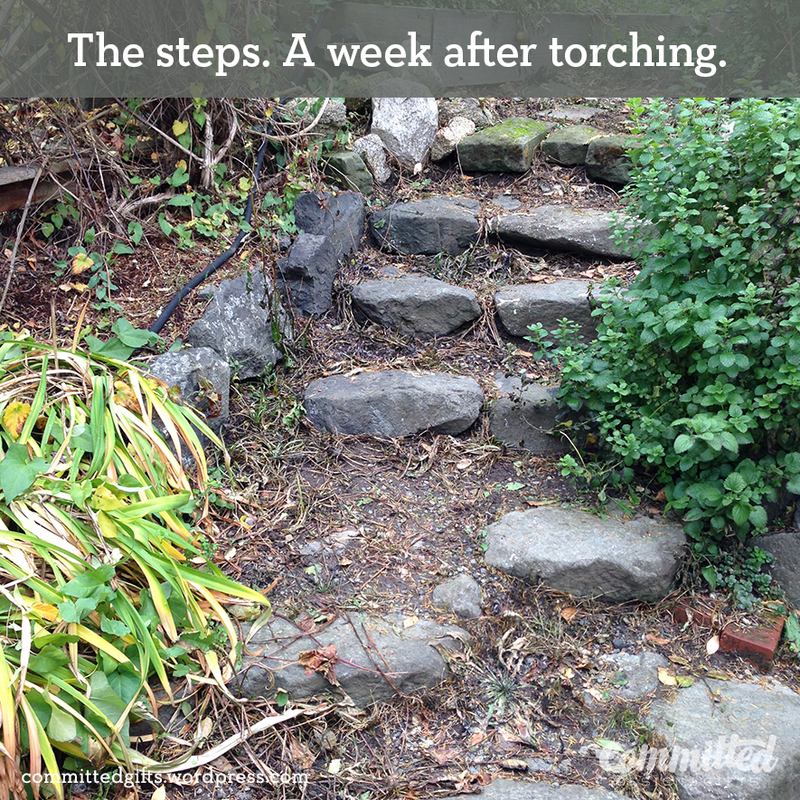 I waited a week and then went over it again to kill anything I missed and to burn off any dead weeds. The result! 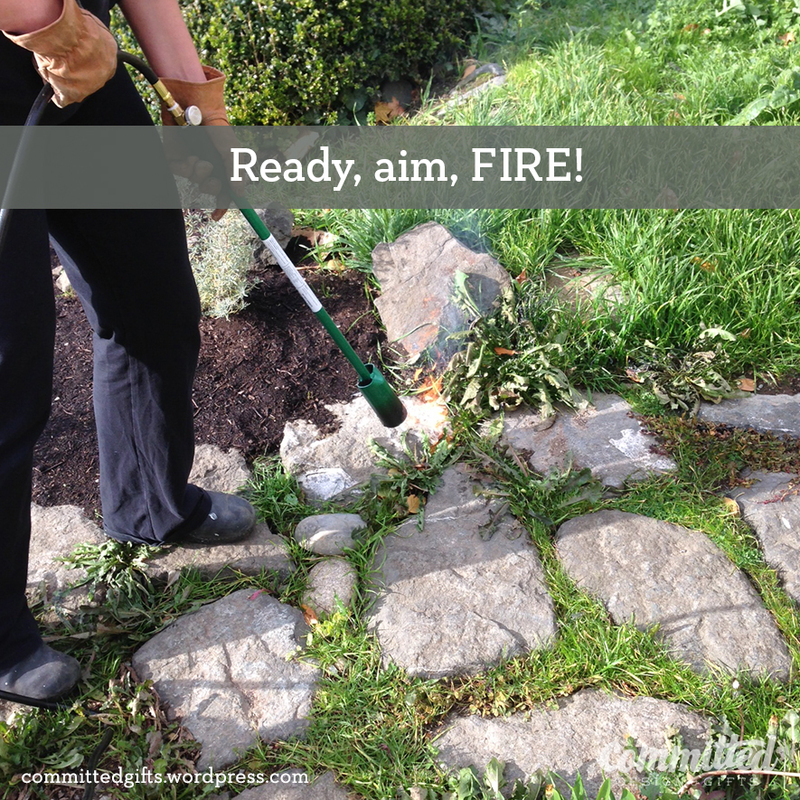 So much better than pulling weeds or spraying chemicals! 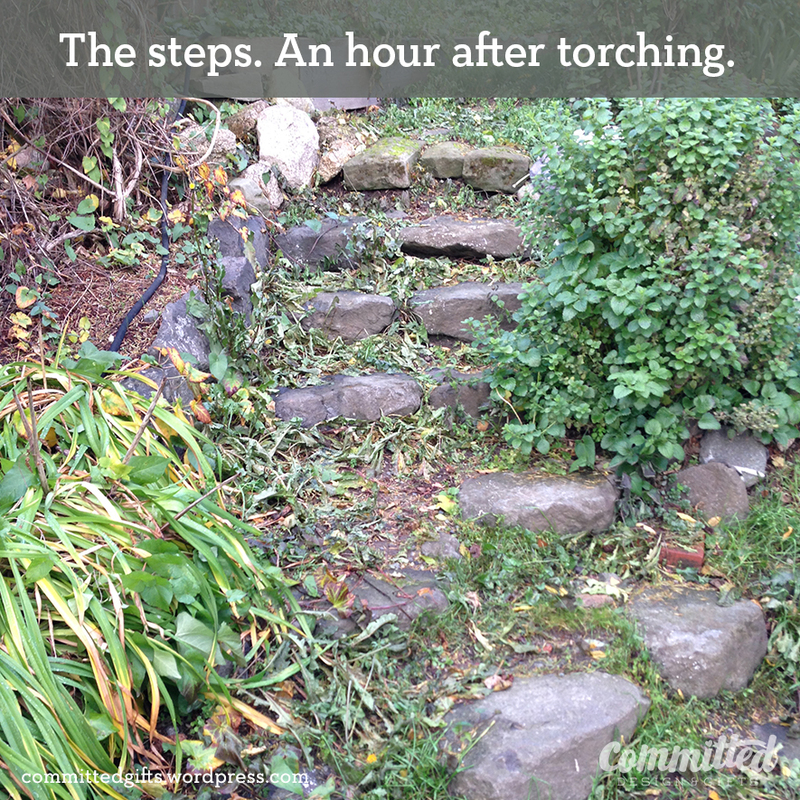 Sadly, I didn’t get a shot of the final-final, but you can tell, the weeds are basically gone between the steps. Now, isn’t that better than getting down on hands and knees, digging between stones, and pulling out all that crap, knowing it’ll just be back in a few weeks? So give it a try! What other tricks do you use to tame your jungle? Wha??? Amazing. That is completely badass for sure! I like the vinegar idea too! I almost tried a spray with Dawn/vinegar/salt, but the area was pretty large for such a venture. I felt pretty safe about it because we weren’t near any decks or buildings that we could burn down! I’ve looked at a lot of different methods for weed control. This one is by far the coolest! Great article! Thanks, Chris! 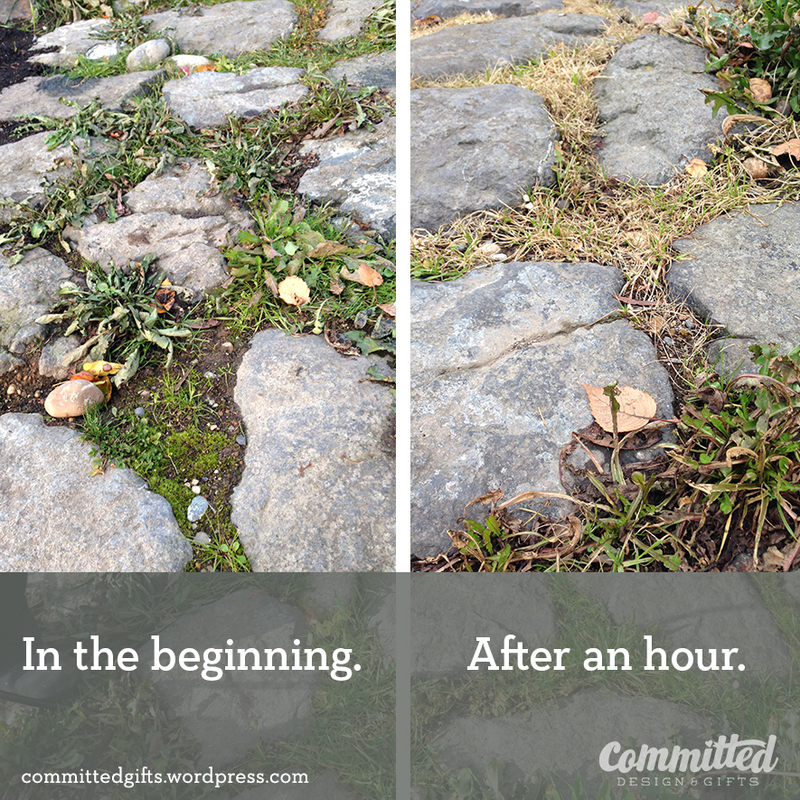 It’s SO MUCH EASIER than pulling weeds out of crevices or from gravel. If you try it out, let me know! We have used this method for weed control for years. We know people that also use it instead of pesticides when getting rid of fire ant mounds. Good post! 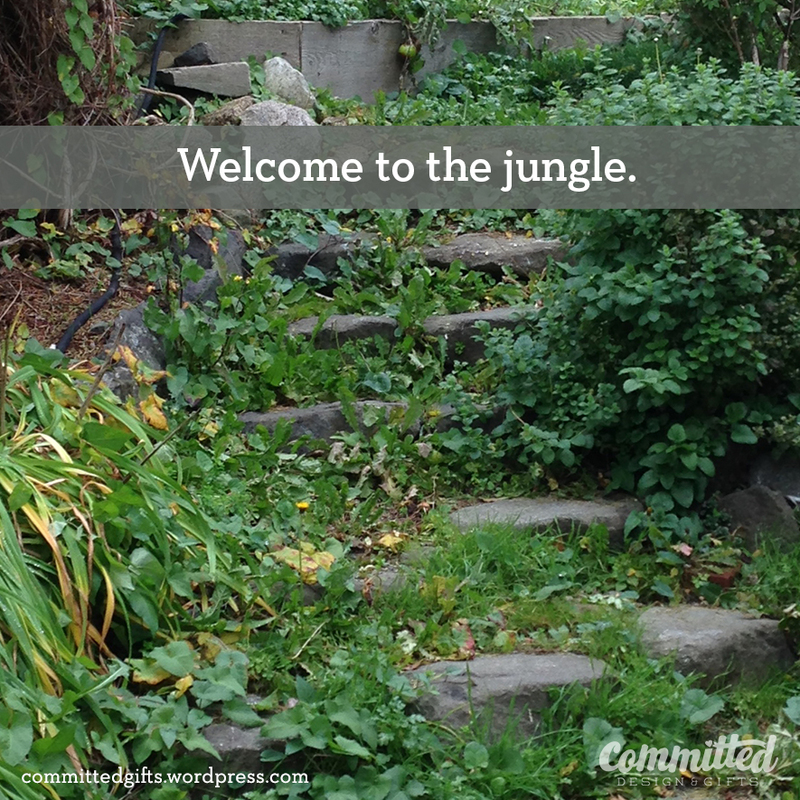 Pingback: Makeover Monday: Taming a Jungle | Committed. We have a rabbit so would never use chemicals in our yard. I’ve heard that boiling water does the same thing. Great if you don’t have access to a badass flame thrower. I haven’t tried boiling water! 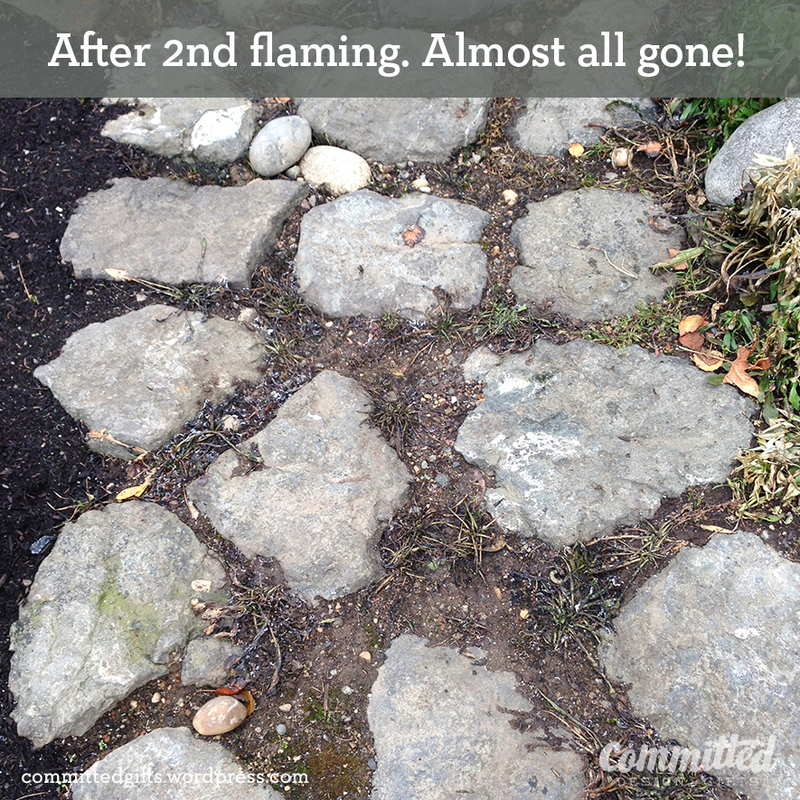 To be honest, the flame weeding lasted about 6 months, which is pretty good! But they’re back, and due for another round of decimation. Since it’s pretty hot and dry here right now, the boiling water might be a safer alternative!